Live Music in the Apartment Album reviews. 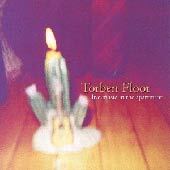 Torben Floor have been called "the pride of Ottawa, Illinois," and rightfully so. Not since the debut of Smashing Pumpkins with their album Gish has there been an album from Illinois that shows as much promise as Torben Floor does with Live Music in the Apartment. Their sound is truly that of a band, not simply a gathering of musicians. This stunning feat is accomplished through the musicianship of a quartet composed of Carey Ott (vocals), Chris Ott (bass, vocals), John Mooney (guitar, vocals), and Doug Sale (drums). Recorded in their former aparment (except for the last two tracks), this album is brimming with masterful works. The band's influences, including Jeff Buckley, John Lennon, and, perhaps most notably Radiohead are readily apparent throughout the album. "One for Me," a love song which bears sincere truthfulness of internal feelings, could have easily been a b-side from Radiohead's The Bends. The next tracks, "Storms of Loss," is eerily reminiscient of Mercury Rev, with it's dissonant vocal chords placed at the ends of various verses, giving it an hauntingl feeling of emptiness. This is music to lose oneself in. The heartfelt singing strikes a chord within the listener. In the instances when the vocals are backed by brother Chris Ott, the singing is enough to take the listener to another level, a level above the static everyday existence to a more wondrous plane. It is solely on this etheric level that we can find the music to not only accompany, but complement the emotionality of Ott's lyrics. Mooney's guitarplaying displays sheer intensity without being obnoxious. It is an intensity of feeling, and intensity of love and hate and loss and redemption, an intensity displayed equally throughout the band. On the surface, this album appears to wallow in simplicity - an album of acoustic guitar and gentle meanderings from a lost soul. But as you can see, by simply attempting to explain its simplicity, by exploring what is going on here, one can become entrapped and enthralled by the simple nuances. This is the test of pure beauty - that of making a thing so simple that below the surface, if one takes the time to feel, one can find the true beauty and complexity found therein - a beauty Torben Floor does not simply possess, but emenates.